It is estimated that every year 5% of the population are unable to donate blood. This is caused by tight governmental regulations which prevent Men Who Sleep With Men (MSM) and women who have slept with MSM. Blood donations in 2014/15, taken from volunteers, only covered a total of 285 days which meant there was an average of 80 days where there was a lack of blood to meet demand in hospitals. Earlier in the academic year SCAN covered the beginnings of the blood-drive style event but at the time of print the details had yet to be finalised. The specifics of the event have now been decided and SCAN brings you an update of the details below. On Tuesday Week 16 Lancaster University campus is going to #PutRedBack in order to raise awareness of the MSM deferral period for blood donation. 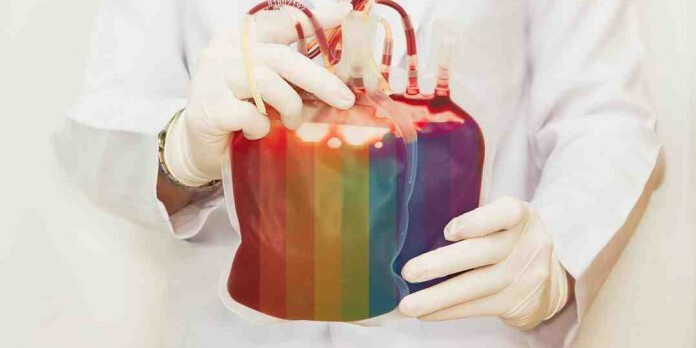 The campaigners hope that this will instil a change in the law so that the right to donate blood will be based on the behaviour of an individual rather than their sexuality. Masters student and CCO for Welfare, David Whitlock, says that the reason that he organising this event was to “highlight discrimination in this area of blood donation and how this law not only prevents gay men but also a lot of groups who are usually not considered”. The base of operations for this event will be a stall in Alexandra Square, where students and staff can sign up. From the stall, they will be led to the Bowland seminar rooms to have their blood type tested. If the individual is able to donate blood, they will then return to the stall to book an appointment at the blood station in the city centre to donate. If the individual cannot donate, a blood bag will be filled with “fake blood” at the stall as a visual representation of how much blood cannot be donated due to the current stringent rules that are currently in place. Once the event has concluded, images of these “fake blood” bags will be sent along with petition leaflets signed by supporters to the Secretary of State for Health, Jeremy Hunt. Other groups involved include LGBTQ+ who will also be getting involved by working on the stall throughout the day. Previous articleRoses 2016 opening fixture revealed!